(Newser) – A woman found dead and bound in a suitcase in a wooded area of Connecticut was identified Thursday as a 24-year-old New York resident who worked at a bookstore and aspired to be a tattoo artist, according to police and co-workers. 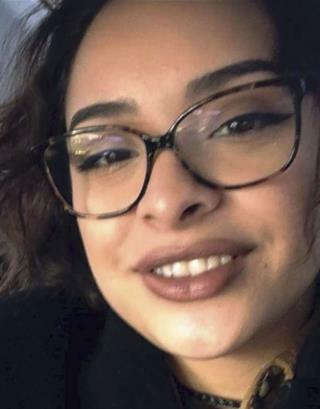 Greenwich, Connecticut, police identified the woman as Valerie Reyes, of New Rochelle, New York, who was last seen Jan. 29 and was reported missing the next day after she did not show up for her job at an Eastchester Barnes & Noble, the AP reports. Highway workers found the body Tuesday morning in a wooded section of Greenwich, about 10 miles from New Rochelle. Officials said Reyes' hands and feet were bound. Police are investigating her death as a homicide. No arrests have been announced. The chief medical examiner's office has completed an autopsy but has not yet released the cause and manner of Reyes' death. The public works employee did what you can expect from anyone with a cell phone camera. More interested in recording than helping. she "aspired to be a tattoo artist". Another cute young woman covered with disgusting tattoos. I'm glad when I was dating almost no women had tattoos. This young generation has no taste in music either. BUILD A WALL around all tattoo shops! But don't worry, the liberals will do anything to make sure the wall never gets built. The libs love crime that originates in tattoo shops. SERIOUS, it was just on FOX and if it was on there, whew, you know it is TRUE!